Following the announcement of a hosepipe ban, United Utilities has submitted drought applications to take more water from lakes. 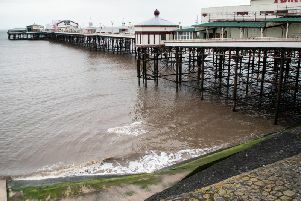 The company – which is bringing in a hosepipe ban from August 5 – has submitted three drought applications. The company has applied to take more water from Ullswater, Windermere and Ennerdale Water. Jim Ratcliffe, drought manager for the Environment Agency, said: “Any drought permit would only be issued to United Utilities after public consultation and a review of all the available hydrological data. The water resources situation could also improve if demand for water reduces or if enough rain returns to replenish supplies. The company cites the warning of a severe water shortage as the reason for making these applications. These powers are necessary due to an exceptional shortage of rainfall which has resulted in very low storage levels in Ennerdale Water and a threat of a serious deficiency to public water supplies. Water companies can make drought applications if there’s an exceptional shortage of rainfall and public water supplies are at risk. The company must ask the Government for permission to increase its abstraction of water from Ennerdale Water because it feeds the River Ehen which is a Special Area of Conservation. It is requesting to increase, for a period of three months, its present drawdown limit from 1.7 metres to 2.5 metres below the crest of the dam. If the Secretary of State for Defra grants this drought order, it will allow the company to continue to abstract water to help safeguard public water supplies within the West Cumbria Resource Zone. United Utilities has also applied to the Environment Agency for two drought permits. The first requests permission to abstract water from Lake Windermere when the flow of the River Leven is lower than permitted under its current abstraction licence. If granted, this will result in a reduction of the amount of water needed to be abstracted from Haweswater and Thirlmere Reservoirs and help safeguard longer-term supplies for public use. If approved, the drought permit will apply for six months. The second permit would allow the company to continue to abstract water from Ullswater when the flow in the River Eamont is lower than permitted under its current abstraction licence. This permit aims to increase storage in Haweswater and Thirlmere Reservoir. If approved, the drought permit will apply for six months.